About five years ago, I was being treated for an ongoing medical problem (which has been resolved, thank goodness). One time, my regular doctor was out of town, so I got a procedure done by one of his partners, a Sikh man called Dr. Singh. 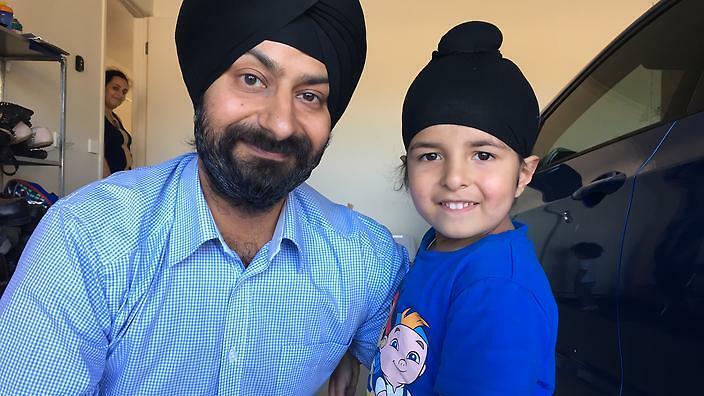 As Dr. Singh was getting ready for the procedure, I was suddenly overwhelmingly curious about what he was wearing on his head. I’d only ever seen it on Sikh boys before, not grown men. It’s sort of like a fine-knitted, stretchy black stocking cap. “They’re the best kind!” he replied, brightly. “Why do you wear that… the…” I said, gesturing towards his head. And I laughed and laughed and laughed. I told him it was the funniest thing I’d heard in days. He explained that he’d gone to med school in Texas, and he couldn’t stand to wear a turban. It was just too hot. And then when he came up to Seattle to start working at the clinic, he never went back to wearing a turban, because they take so much time to wrap properly. It got me to thinking about this one time when I acting, when I was in “Angels in America.” For the Rabbi, I had a real prayer shawl that belonged to one of the cast members. So I learned the blessing that one says when putting on a prayer shawl. Saying it, and kissing the shawl, and lifting it over my shoulders just so, was part of how I got into character. Why did this White Guy Include "White" in his Insult?